Table, Summary, Timeline, Calendar and Tile views include the Row Colorization option, where the Colorization Formula can be added. As a result, displayed rows are colored according to this formula. You can color rows displayed in a certain view or in all views created in a Table. 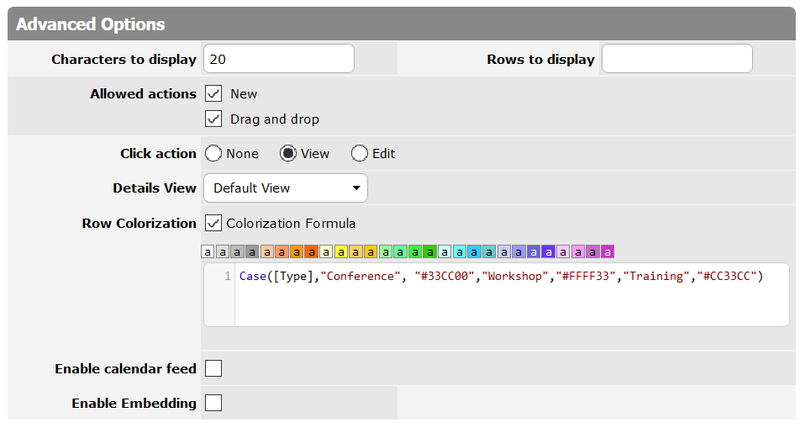 To adjust the Row Colorization for a certain Table View, edit this Table view and check the Row Colorization option. To adjust the Row Colorization for a certain Calendar View, edit this Calendar view and check the Row Colorization option. To adjust the Row Colorization for a certain Tineline View, edit this Timeline view and check the Row Colorization option. To adjust the Row Colorization for a certain Tile View, edit this Tile view and check the Row colorization option. To adjust row colorization applicable for all records of a Table , edit Table Properties and check the Row Colorization option. 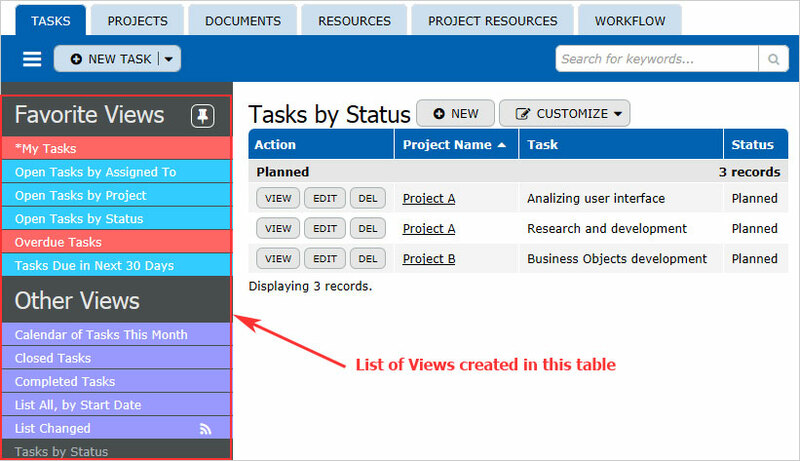 Please note that the results displayed in the Timeline views created in this Table also will be colored. To create the colorization formula in the Summary view, only columns indicated in the Grouping section can be included to the formula. To adjust the Row Colorization for a certain Summary View, edit this Summary view and check the Row Colorization option. You can use more than one color for the chart types, where the Grouping option is available, also the Pie and Doughnut charts can be colored according to your wish. For the other charts you can use only one color, but you can specify any color you need, just activate Colorization Formula checkbox in the Chart settings and enter the color number or select a color from the palette.